A $5,000 reward is being offered for information leading to the arrest of the whoever is responsible for recent threats made against Naval Base San Diego and BAE Systems. On Thursday, for the second time in as many days, a bomb threat was made to Naval Base San Diego. A base spokesperson told 10News the threat was phoned in sometime before 7:30 a.m. to Building 36, the Southwest Regional Maintenance Center. The base was not locked down, but a perimeter was established around Building 36. The FBI and Explosive Ordnance Disposal technicians scoured the building and some traffic was diverted during the response. Emergency personnel at 32nd Street secured the area between piers 3 and 5, west of Kalbfus Street, after the threat was received, according to base officials, who advised sailors to avoid the area. Base officials said the remainder of the facility, including its child development centers, remained under normal operations. The so-called "dry side" was unaffected. Shortly before 11:30 a.m., base officials gave the all clear after investigators found nothing harmful. On Wednesday morning, a handwritten threat prompted the evacuation of a pier on the base and the inspection of ships in the area. The threat was found on a note in a portable toilet on a pier near Building 36. Pier 4 was secured and NCIS personnel inspected at least two ships at the piers. Nothing harmful was found, and about two hours later, officials gave the all clear. Late Thursday afternoon, Navy officials announced that NCIS and BAE Systems are offering a $5,000 reward for information leading to the arrest of the person(s) "responsible for vandalizing BAE and USN property by writing threatening messages. Messages to include, but not limited to the words 'BOMB', 'ISIS' and anti-US sentiment." Navy officials told 10News that a series of threats were made at the BAE shipyard on Nov. 23, 2015; Dec. 9, 2015; Dec. 11, 2015; Dec. 15, 2015; Feb. 4, 2016; and Feb. 9, 2016. 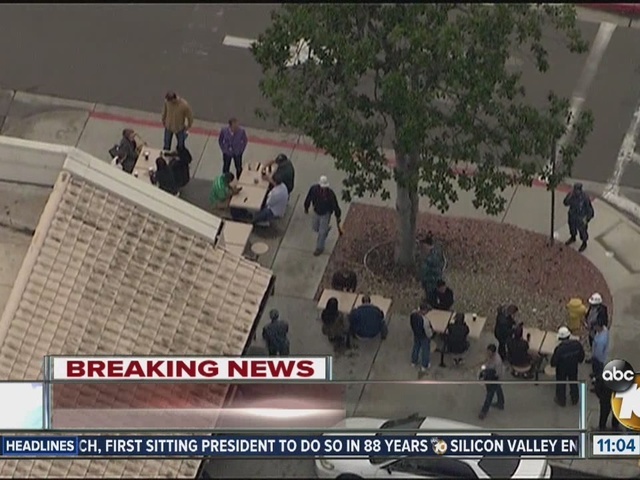 Officials said those threats were similar to the threats made at Naval Base San Diego.